Skybound Games’ Ian Howe has met with dozens of ex-Telltale developers to finish The Walking Dead: The Final Season. The Skybound Games The Walking Dead acquisition has come after Telltale let go of most of its staff last month. Howe said in a recent Reddit AMA that he has met with over 40 members of the Telltale Games team as of last week. Reddit user mrblackop714 asked Howe in the AMA who Skybound is hiring from the ex-Telltale team. Howe didn’t disclose names of team members but he did say this that they are talking to some of the same Telltale people. “At this stage, we’re still in discussions with various members of the team and I met over 40 of them last week to discuss our plans moving forwards. They know what we’re trying to do and as soon as the lawyers have done their thing, we’ll be able to speak more openly,” he said. In another set of questions from mrblackop714 regarding ex-Telltale devs Howe went more in depth. Howe noted that because of where each company was located (Skybound in Los Angeles while Telltale is in the San Francisco Bay Area) it’s not an easy task for ex-Telltale developers to uproot to LA. Howe mentioned the possibility of finding a new location for the team to work from. The other key thing Howe said is that Telltale Games would often cycle employees from one team to the next, depending on where production was. Skybound doesn’t want to bring people in just to do a few weeks of work and then be done again. He stressed that each person brought their own unique situation, and Skybound is trying to take each individually. Skybound Games The Walking Dead was announced on October 6, as Skybound had reached an agreement to pick up Telltale’s project. The decision brought joy and ire to the gaming community. 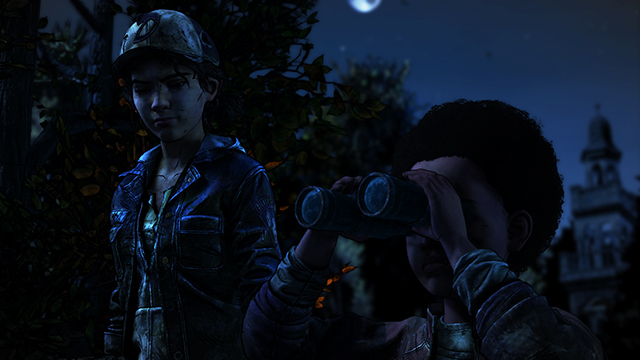 Some were just happy to know that Clementine’s story would be completed, while others were concerned over working conditions and paying severance to those affected by Telltale’s closure. The AMA also brought other news with it, including a vague promise of an eventual release schedule for the next two episodes of The Final Season. There was also interest in bringing back composer Jared Emerson-Johnson, who has worked on The Walking Dead series since the first season. Skybound Entertainment was founded by Robert Kirkman — co-creator of The Walking Dead. Skybound Games was launched earlier this year at the beginning of April as the games publishing arm of Skybound. Howe is Skybound Games’ CEO, and was previously the president of 505 Games and spent time at Activision and Maxis before that. Kent Mudle is also attached to the revival of The Walking Dead Telltale series and is a former creative director at Telltale where he worked for over eight years.